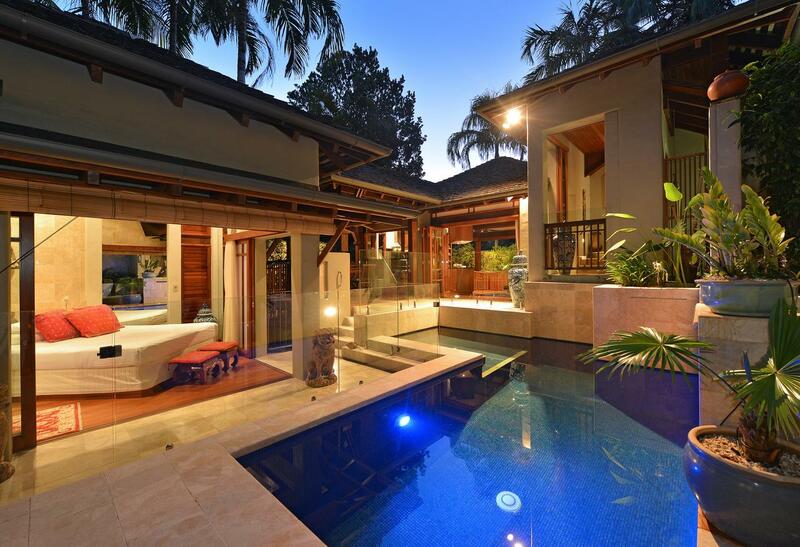 Offering a stunning outdoor pool and deck area, this 4-bedroom villa is located in Port Douglas. It boasts a large covered balcony, perfect for taking in the tropical sunset. Guests can visit a range of Australian animals at The Wildlife Habitat, which is a 5-minute drive from the property. 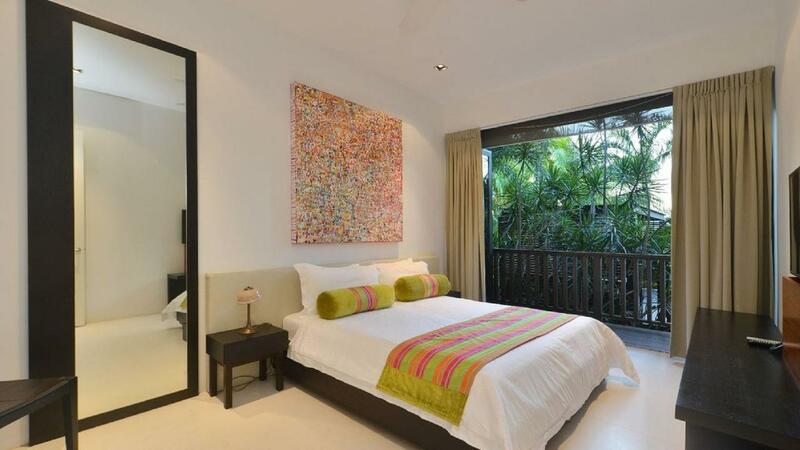 Villa 10 on Grant - Luxury Holiday Villa is located in Port Douglas. A swimming pool and barbecue facilities are provided for a lovely day outdoors. Guests can enjoy a meal, prepared in their fully equipped kitchen, around either the indoor or outdoor table. 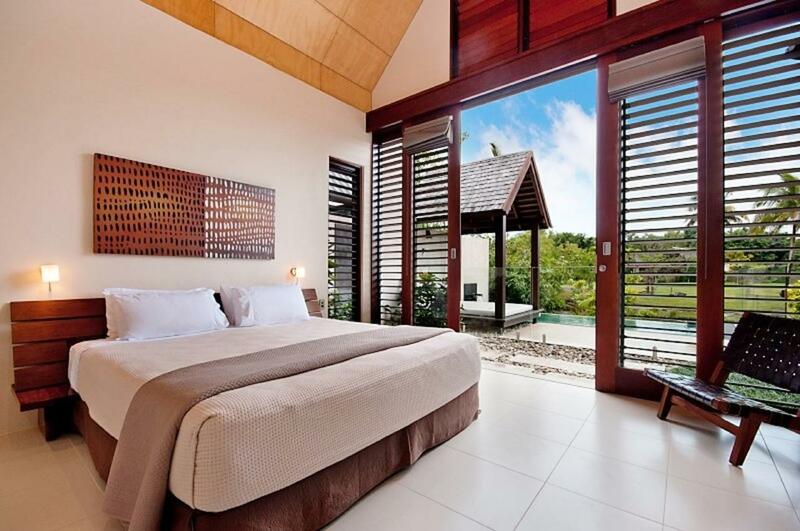 Each room in this 2-bedroom villa has a private balcony and modern amenities. This property is 12 minutes walk from the beach. Offering a stunning outdoor pool area in a secluded setting, guests can relax and revive at Villa 3 Far Pavillions. 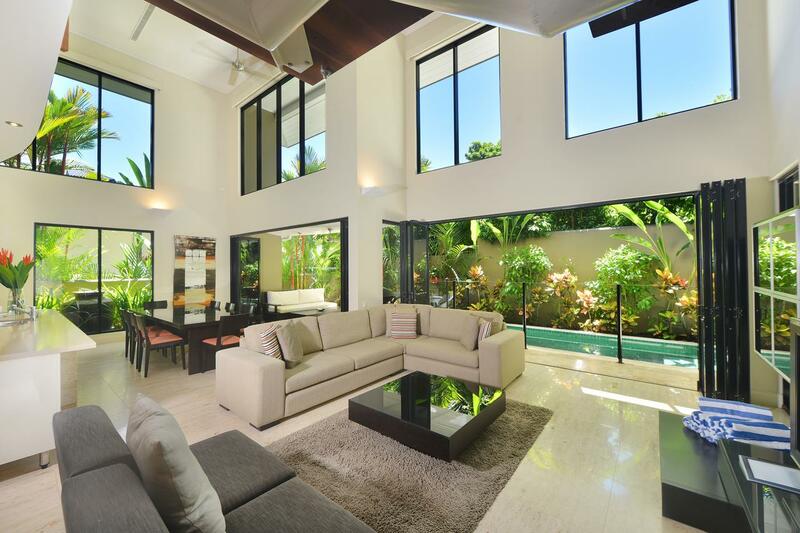 Boasting a central location in Port Douglas, the stand-alone property features a private garden, indoor/outdoor dining areas and air-conditioning. 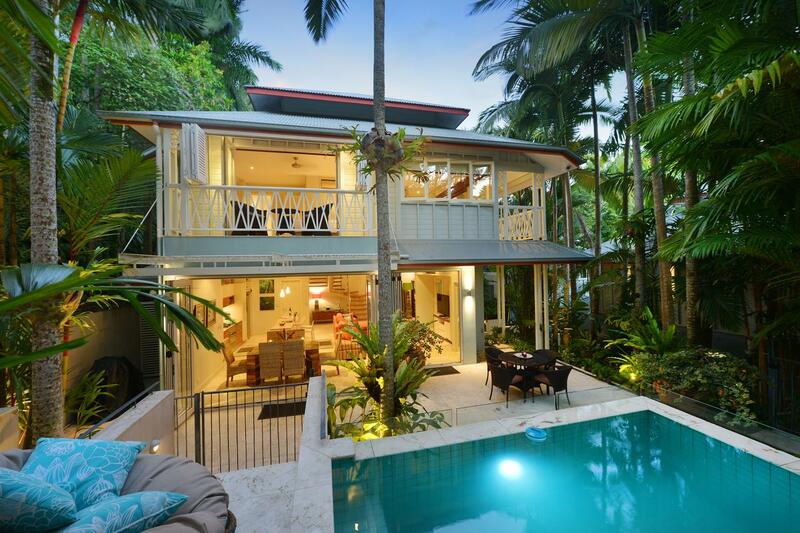 Villa Frangipani is situated in Port Douglas. Featuring air-conditioned accommodation with a balcony. This villa features 2 bedrooms, a flat-screen TV, and a kitchen with a dishwasher. The villa also provides a bathroom with a hot tub.The villa offers a sun terrace. Guests can relax in the garden at the property. 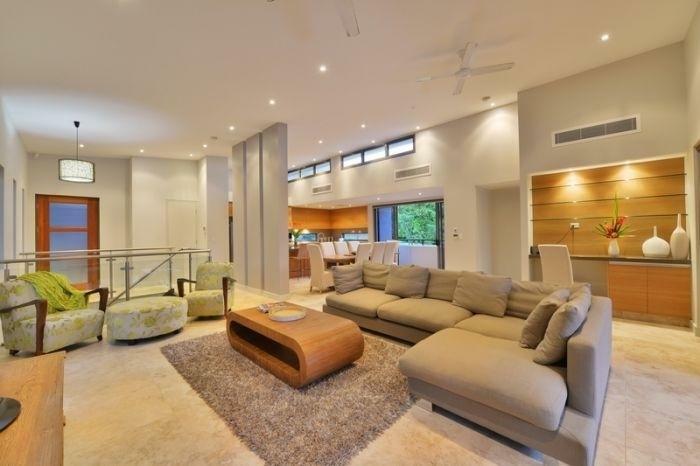 Villa Heliconia is set in Port Douglas. This property is 12 minutes walk from the beach. Complete with a garden and a bar. The apartment is fitted with 2 separate bedrooms and includes a kitchen with a dishwasher and a dining area. A TV is provided.The apartment offers a children's playground. This property is 12 minutes walk from the beach. You won’t find it hard to relax at Villa Mercedes as you stand under the fountain in your private pool. As you sit on your balcony you can enjoy mountain views. Villa Mercedes - Luxury Holiday Villa features a stunning kitchen with modern, stainless steel appliances and a spacious living area with a large sofa. Villa is located in Port Douglas. Offering a sparkling outdoor pool and mountain views. Guests staying at Villa One on Murphy can take a 7-minute drive to The Wildlife Habitat. Villa is close to a variety of dining options including Salsa Bar and Grill, Nautilus and The Court House Hotel. 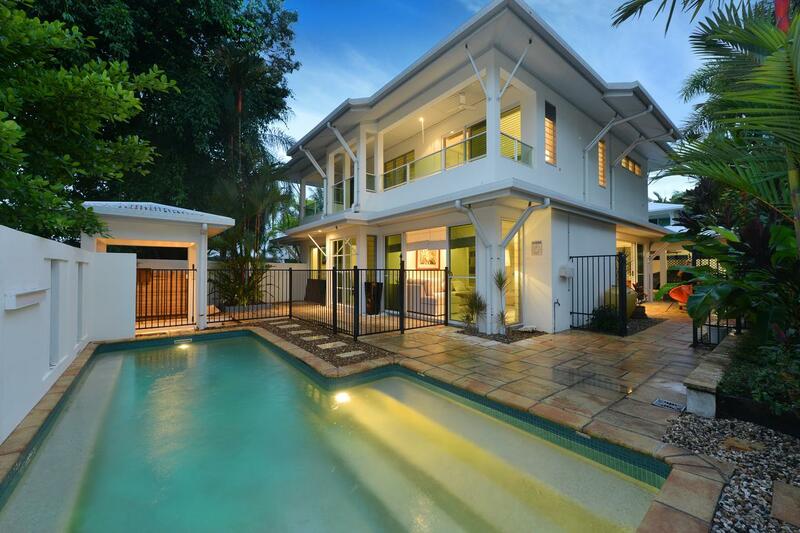 Offering an outdoor pool, Villa Sorrento - Luxury Holiday Home is located in Port Douglas. The accommodation will provide you with air conditioning and a balcony. There is a full kitchen with a dishwasher and a microwave. Featuring a shower, private bathrooms. You can enjoy pool view from all the rooms. 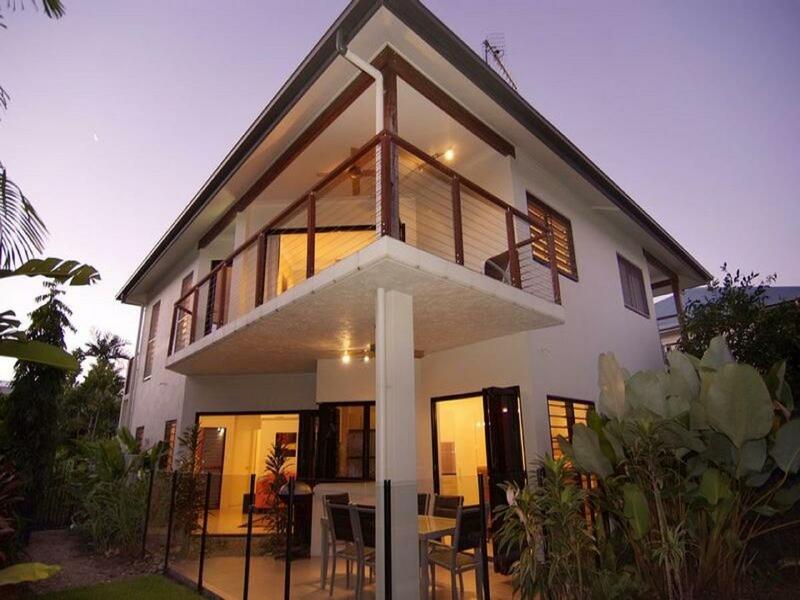 This property is 2 minutes walk from the beach, situated in Port Douglas. The villa features 2 bedrooms, a kitchen with , a washing machine, and a bathroom. At Frangipani sur la Mer guests are welcome to take advantage of a hot tub. Guests can enjoy the outdoor swimming pool at the property. This property is 12 minutes walk from the beach. Featuring lake views, Niramaya Villa 62 provides accommodation with an outdoor swimming pool, around 4.1 km from Marina Mirage. The property has pool and garden views. Guests can relax in the garden at the property. 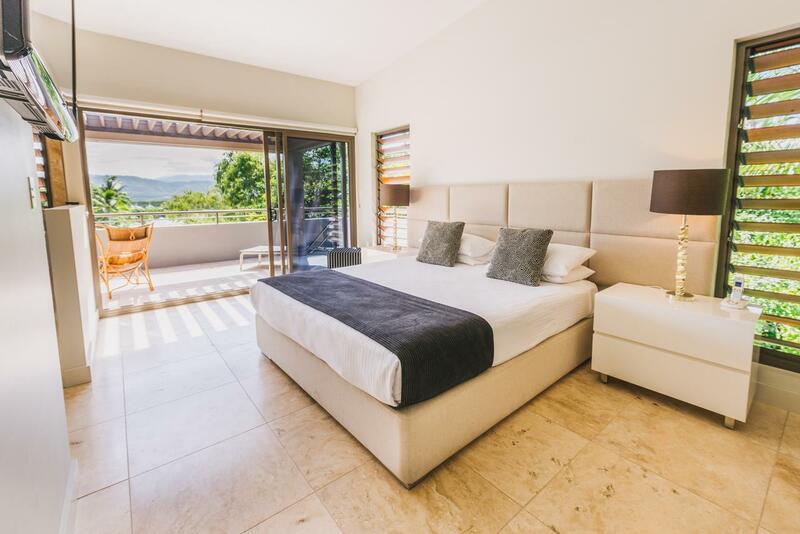 ordered by rainforest gardens, Niramaya Villas are a 5-minute drive from Port Douglas.Offering luxurious villas with a private plunge pool and a patio with a BBQ. All villas boast lake or garden views, a kitchen and a lounge area, you can work-out in the fitness centre or play a game of tennis. 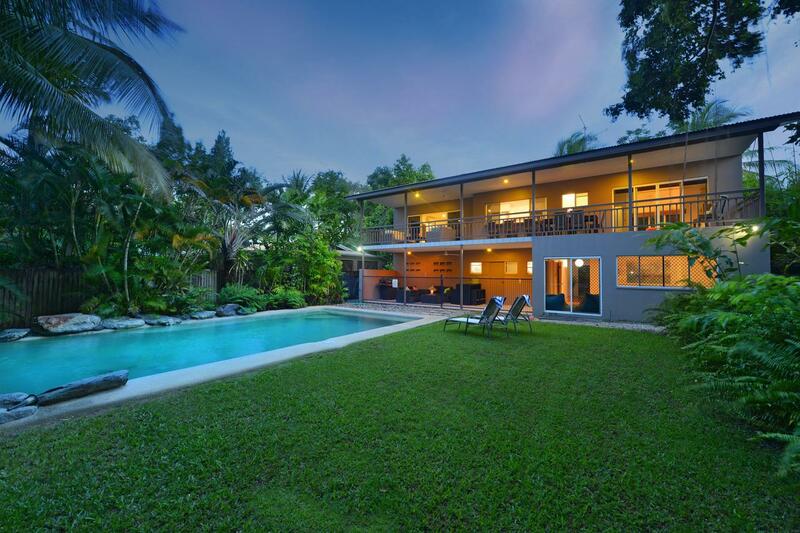 Located in Port Douglas, this property is 2 minutes walk from the beach. 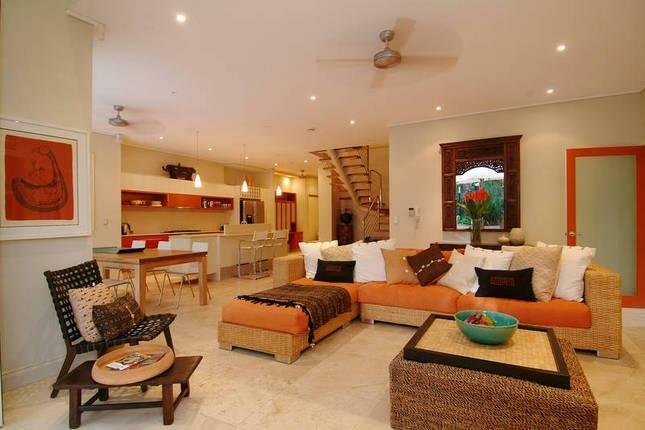 This villa has 3 bedrooms, a flat-screen TV, a dining area, and a kitchen. No. 5 Templemoon offers a barbecue. No. 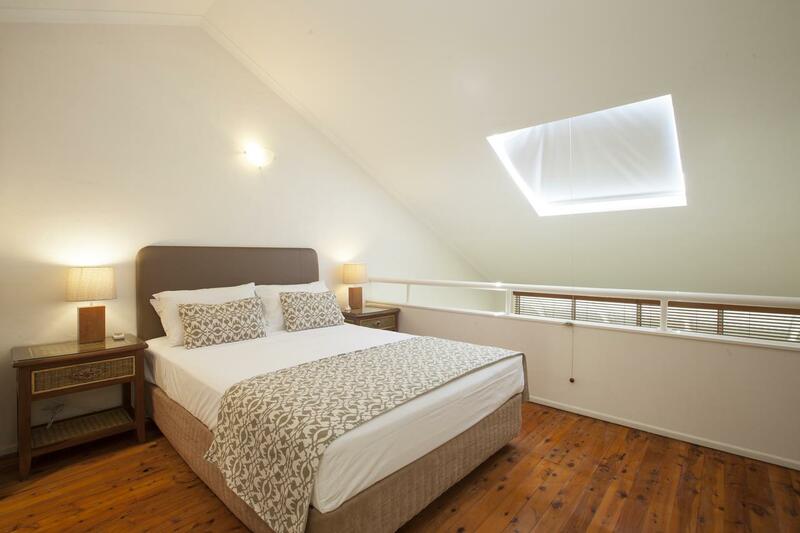 5 Templemoon features air-conditioned accommodation with a terrace. Set in Port Douglas, Local points of interest like Rainforest Habitat Wildlife Sanctuary .This property is 1 minute walk from the beach. 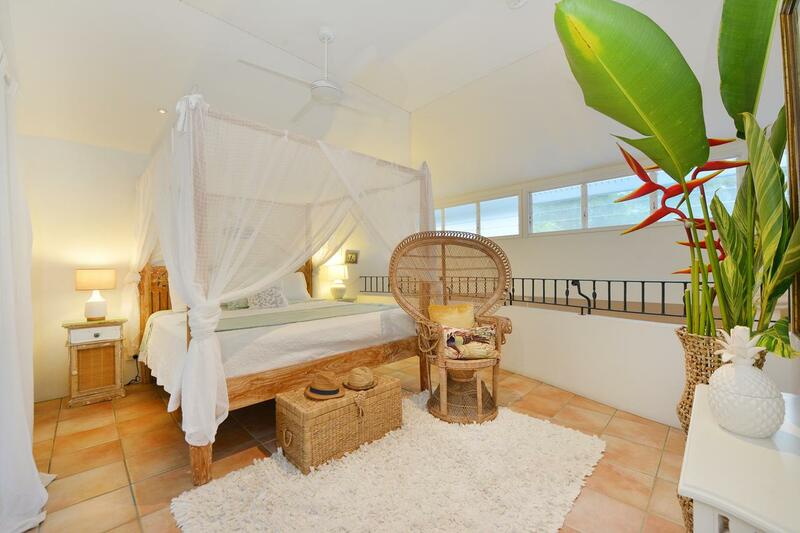 Paradise Villa B&B Port Douglas offers one self-contained guest studio with air conditioning. Guests can enjoy access to an outdoor swimming pool and to a garden. 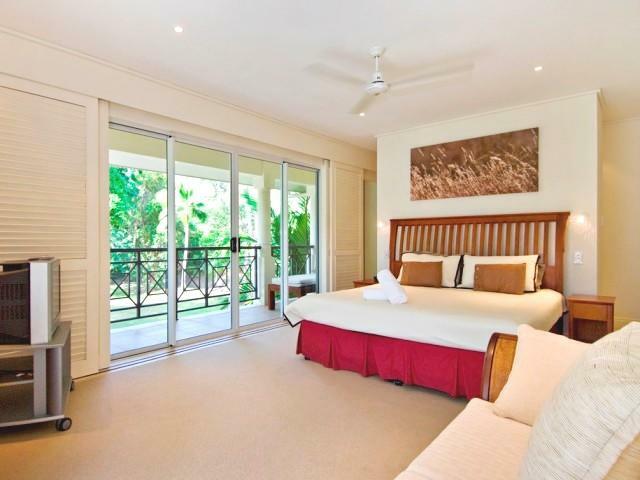 Set in Port Douglas, this property is 10 minutes walk from the beach. Offering garden views, all units come with a washing machine, kettle, a flat-screen TV, ironing facilities and a living room. The villa offers 4-star accommodation with a fitness centre and outdoor pool. 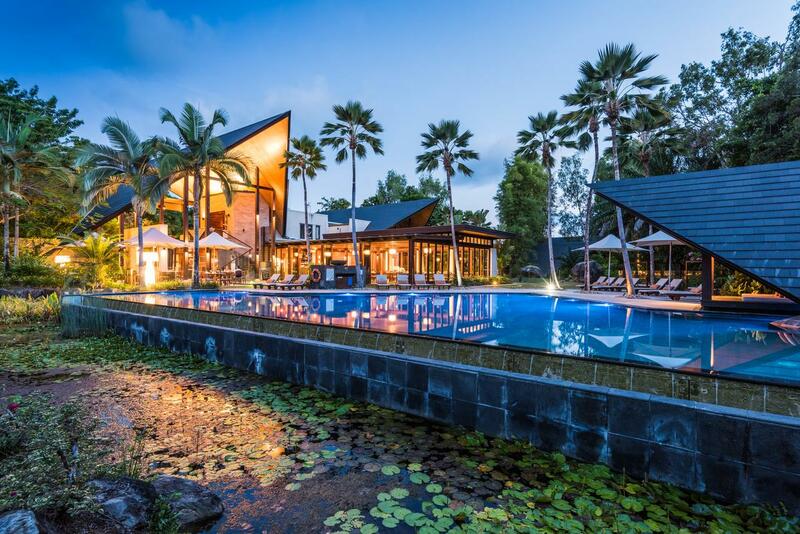 Well set in Four Mile Beach of Port Douglas, Sea La Villa Port Douglas features barbecue facilities, a garden and a terrace. The air-conditioned villa consists of 2 bedrooms, a kitchen and a bathroom. A flat-screen TV is available. The villa offers an outdoor pool. This Balinese style villa is surrounded by tropical trees and features timber flooring as well as balconies with mountain views. Guests can relax in one of four bedrooms or in the lovely seating area. Situated in Port Douglas. This property is 12 minutes walk from the beach. The property has pool views. 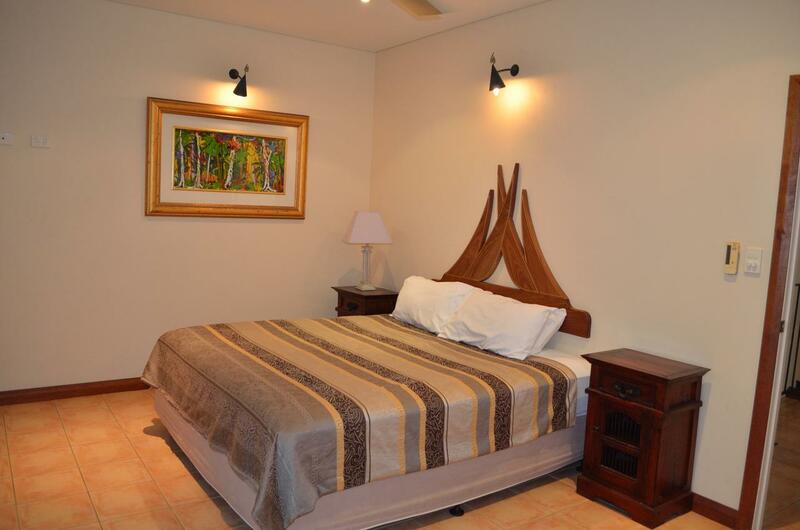 The villa is equipped with 4 bedrooms and a fully fitted kitchen . The villa also features a bathroom with a hot tub, a bidet and a shower. The villa offers a terrace. Guests can also relax in the garden. 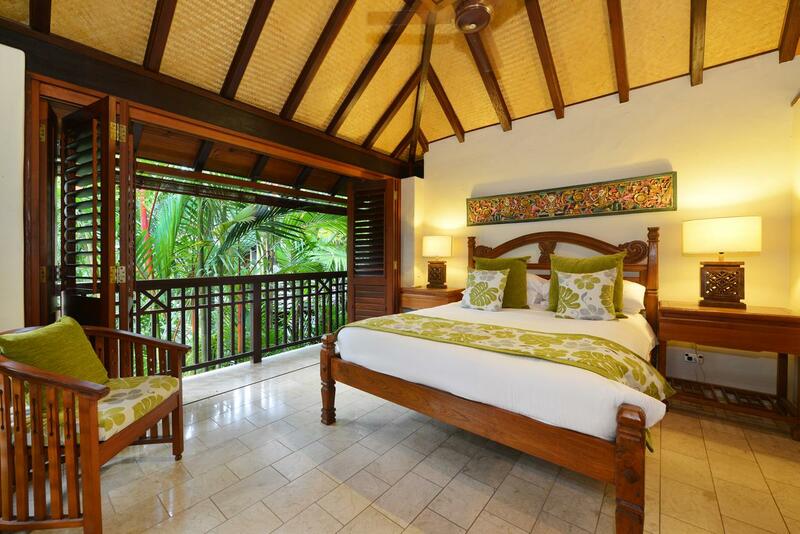 Villa Exotique is surrounded by lush tropical gardens and is only 5 minutes’ drive from Four Mile Beach. 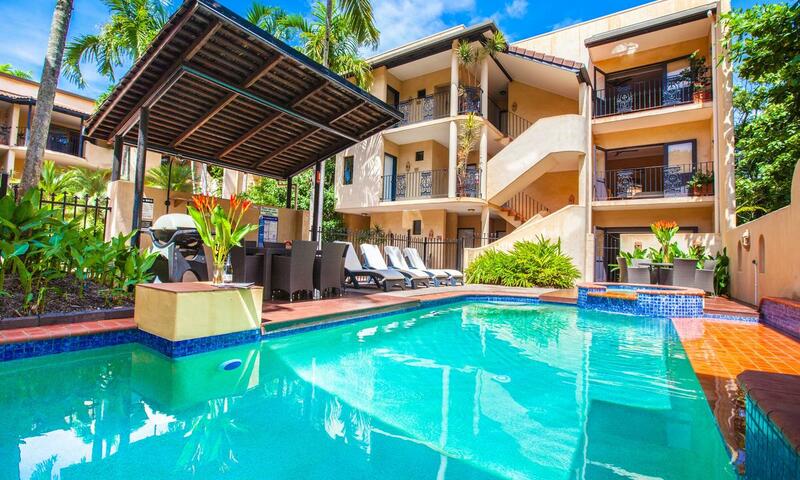 The apartment complex has a swimming pool for all guests to share.This property is 9 minutes walk from the beach. Enjoy self-contained accommodation with BBQ facilities. 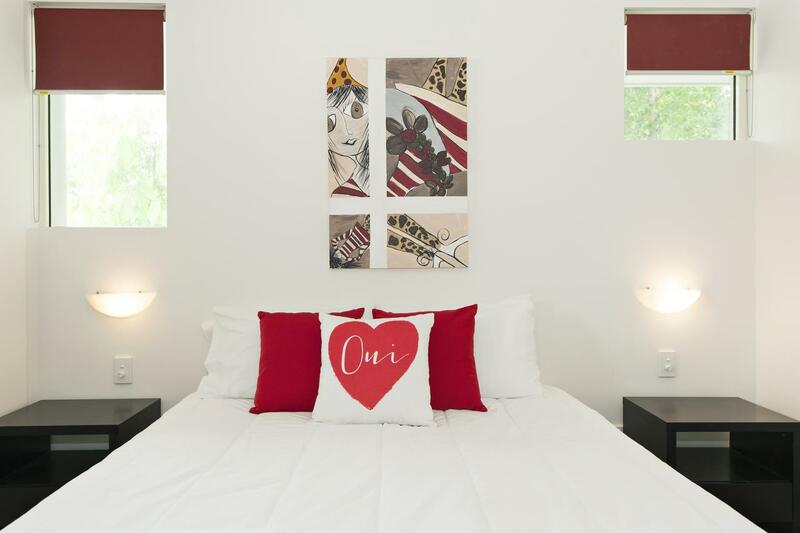 Situated in Port Douglas, a 12-minute walk from Marina Mirage and a 13-minute walk from Macrossan Street, Villa Fullmoon provides air-conditioned accommodation with a terrace. This villa offers a garden. The villa features a kitchen with a dining area, a bathroom and a washing machine. 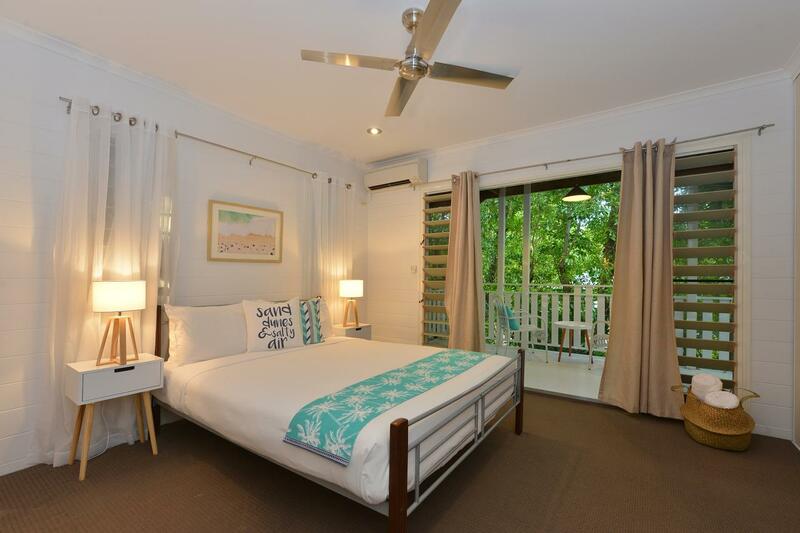 Located on vibrant Macrossan Street in the heart of Port Douglas, this property is 6 minutes walk from the beach. Villa San Michele offers secluded 1 and 2-bedroom apartments, set around a courtyard surrounded by tropical gardens. Guests can enjoy a swim all year round, with 1 pool heated during the winter months. 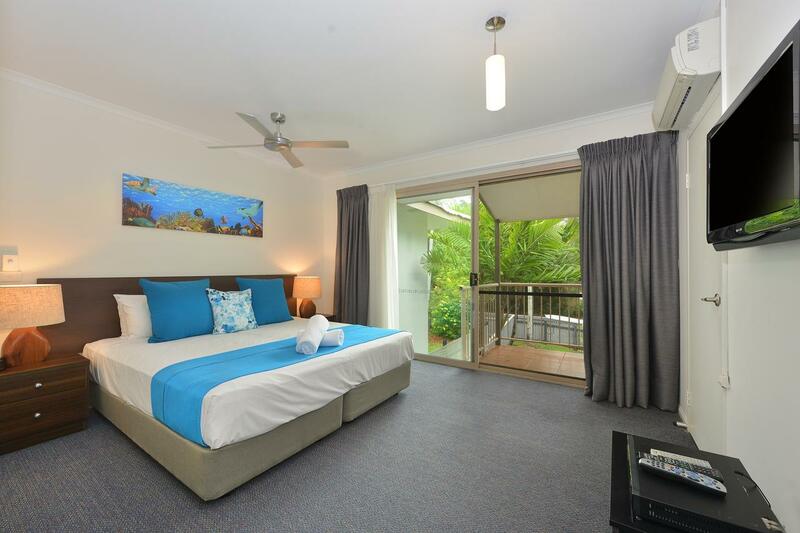 6 Templemoon offers accommodation in Port Douglas, 5 km from Marina Mirage and 1.9 km from Rainforest Habitat Wildlife Sanctuary. It provide a garden. Offering direct access to a terrace, the air-conditioned villa consists of a fully equipped kitchen and a TV. The bathroom is fitted with a bath. Within 5 km of Marina Mirage and 1.9 km of Rainforest Habitat Wildlife Sanctuary, 7 Templemoon features free WiFi and a garden. The villa features a kitchen with a dining area, a bathroom and a washing machine. A TV is provided. This property is 1 minute walk from the beach. 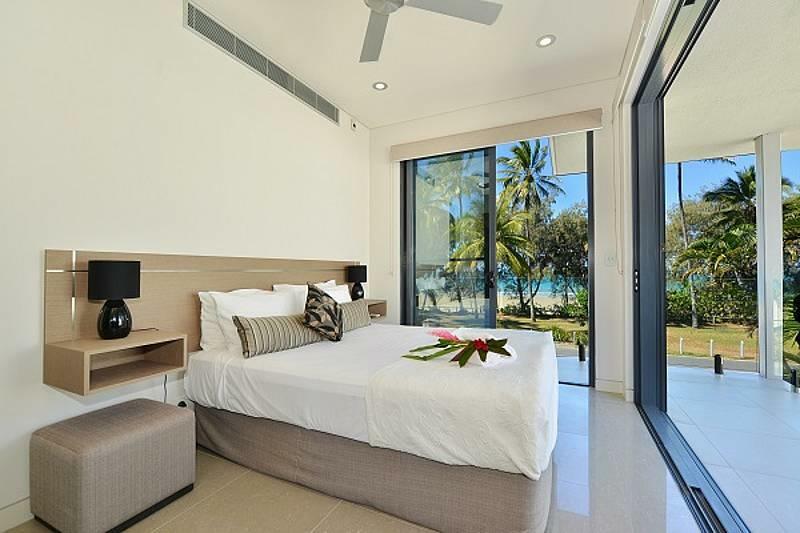 Boasting sea views from the living areas and bedrooms, the 2 and 3-bedroom Beach Front Villas are located on the beachfront of Four Mile Beach and 4 minutes' walk from the centre of Port Douglas. Guests have access to 2 swimming pools. 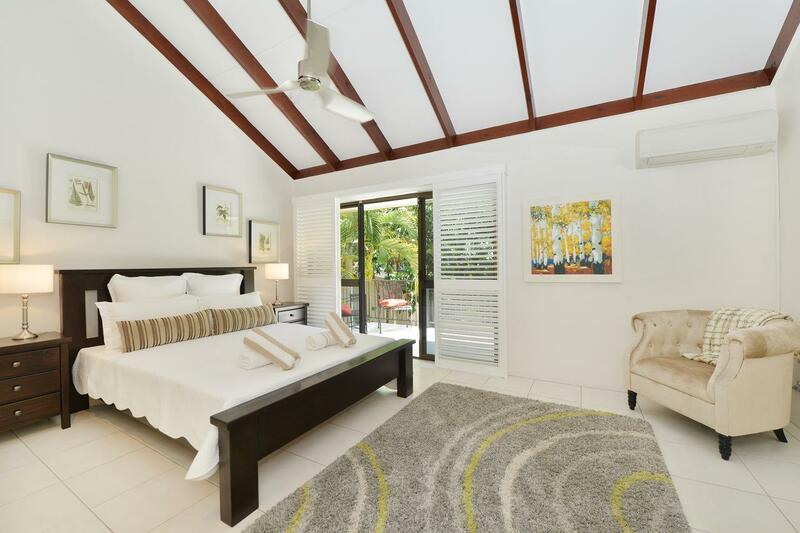 Situated in Port Douglas, 3.6 km from Marina Mirage and a 9-minute walk from Rainforest Habitat Wildlife Sanctuary, Beach Villa - 4 Plantation House offers a garden and air conditioning. 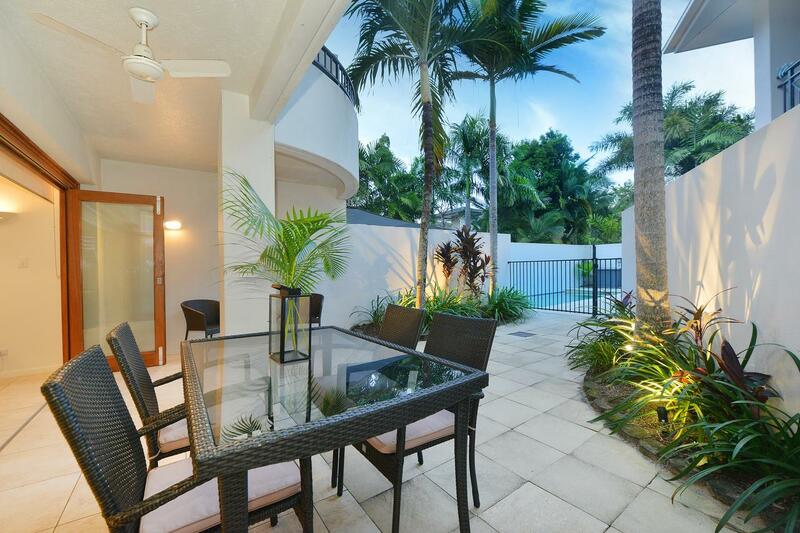 Situated just 500 m from the famous Four Mile Beach. This property is 4 minutes walk from the beach. 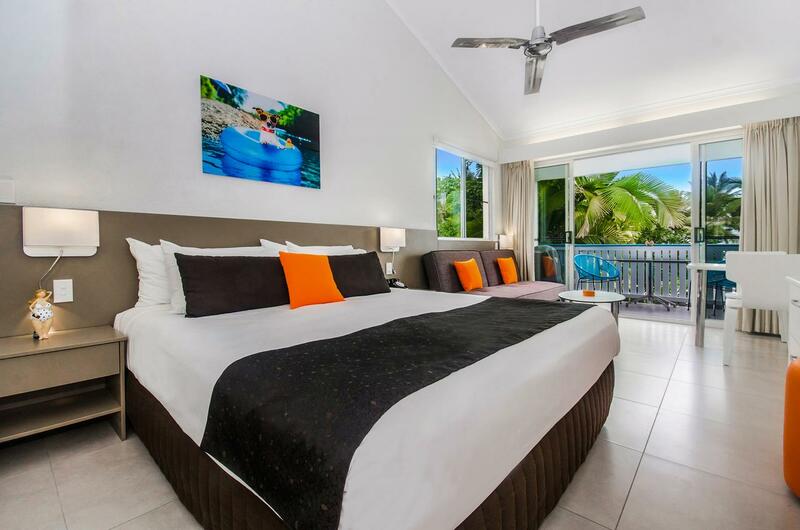 Cayman Villas Port Douglas offers spacious self-catering villas, a refreshing outdoor swimming pool and a relaxing spa pool.Each of these modern villas has a large living area and spacious private balcony. This property is 6 minutes walk from the beach. 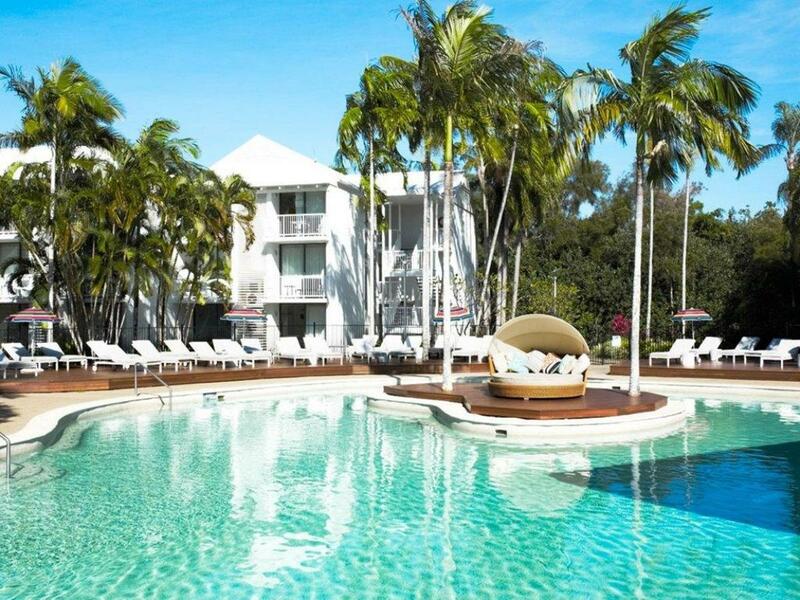 Located in Port Douglas, Chez Willow 3 offers an outdoor swimming pool, a garden and a barbecue. The villa has a flat-screen TV , a well-equipped kitchen and a bathroom.The property has a hot tub. 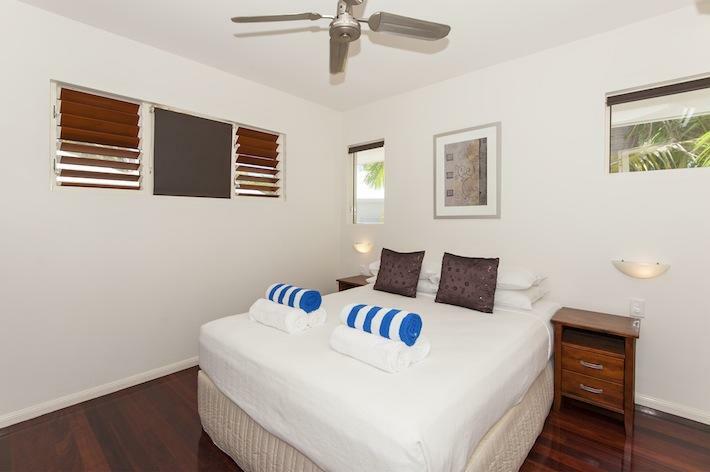 Located in Port Douglas, Concha Marina feature accommodation with a private pool. The property is 4.1 km from Marina Mirage. This air-conditioned villa has a fully equipped kitchen, a dining area and a TV. Guests can relax in the garden at the property. 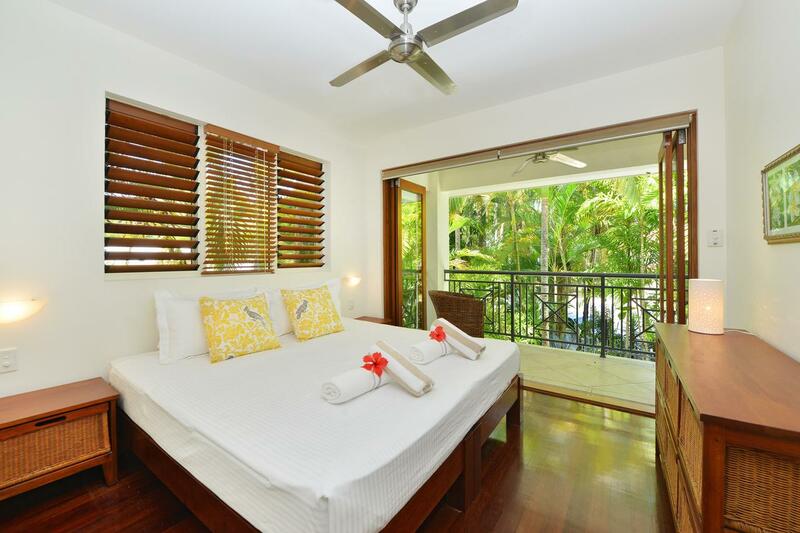 They are located only 50 m from the Port Douglas beach, peacefully surrounded by tropical gardens. All the multi-level villas have 2 bedrooms, spacious living areas and private courtyards and balconies. 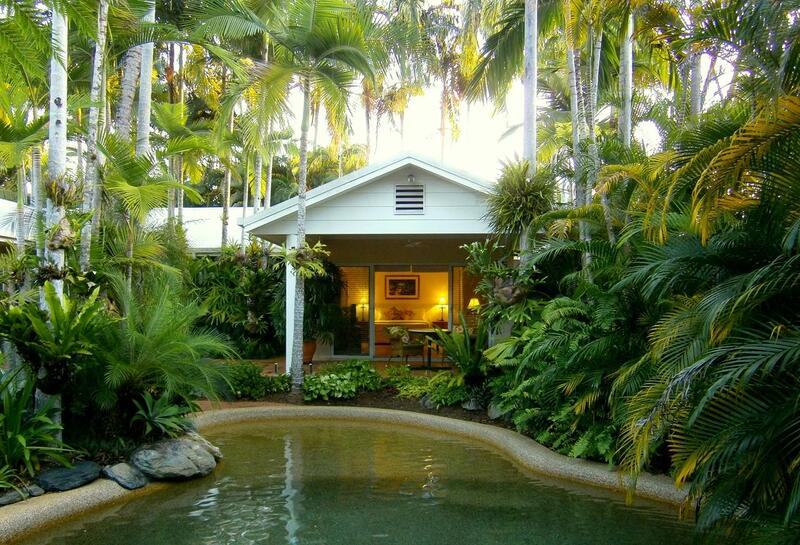 Garden Villa on Murphy is set in Port Douglas. Complete with an outdoor swimming pool and barbecue facilities. The villa offers a sun terrace. Guests can also relax in the garden. 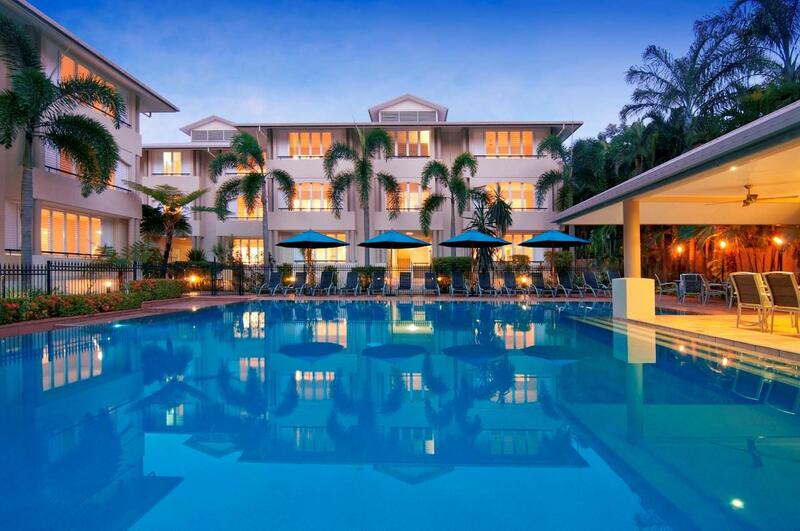 Hai Villa Port Douglas is located in Port Douglas. Set in a quiet location with easy access to the centre of town, this property has an outdoor swimming pool, barbeque facilities and alfresco dining area. 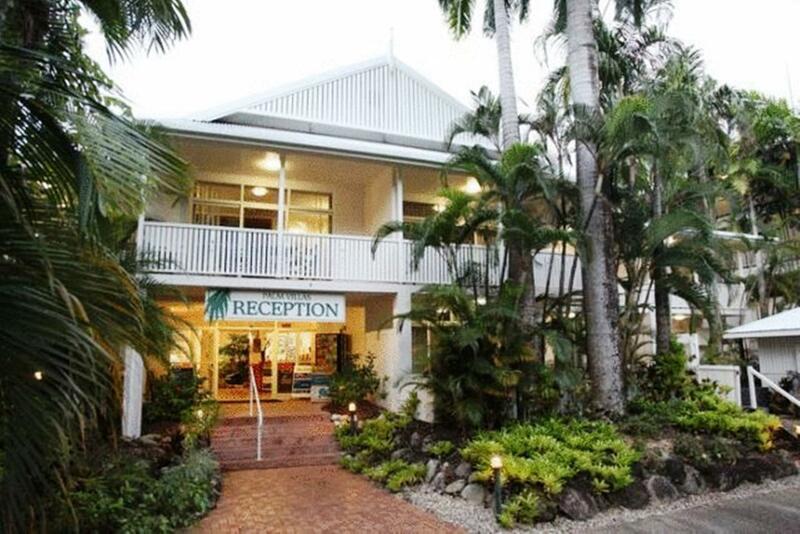 Moona is a self-catering property located in Port Douglas near Marina Mirage. Providing access to a terrace, the air-conditioned villa consists of a fully equipped kitchen and a TV. The villa also provides a seating area and a bathroom.Guests can relax in the garden at the property. 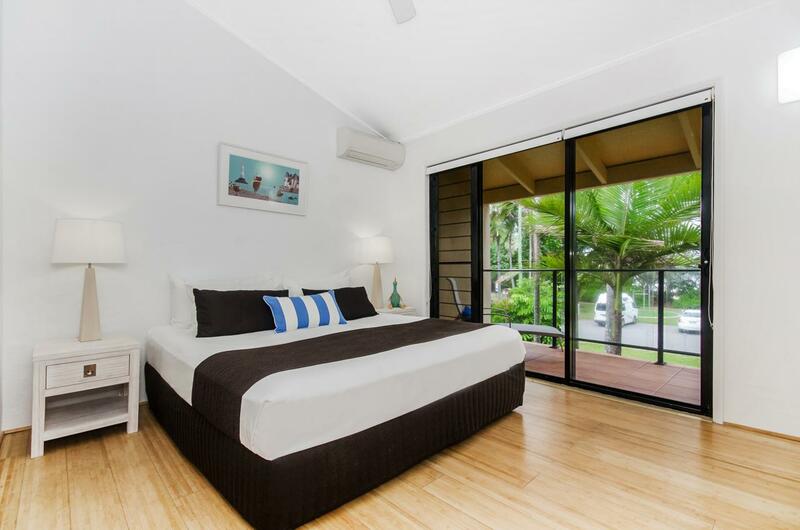 Located in Port Douglas, within just a 5-minute walk of Marina Mirage and a 1-minute walk of Macrossan Street. With mountain views, this accommodation provides a terrace and a swimming pool. 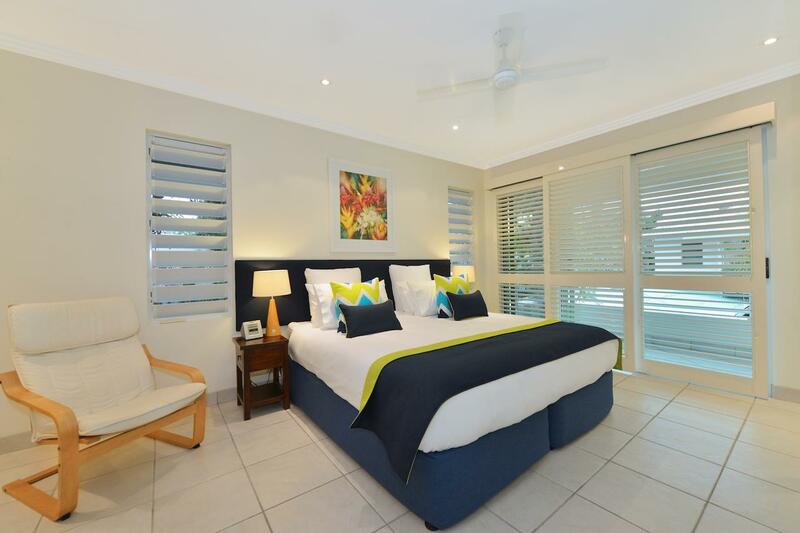 This property is 6 minutes walk from the beach.This vibrant designer hotel offers spacious rooms and apartments with stylish touches throughout. Enjoy signature concepts such as the “Bazaar Marketplace” interactive restaurant open daily for breakfast. This property is 1 minute walk from the beach. 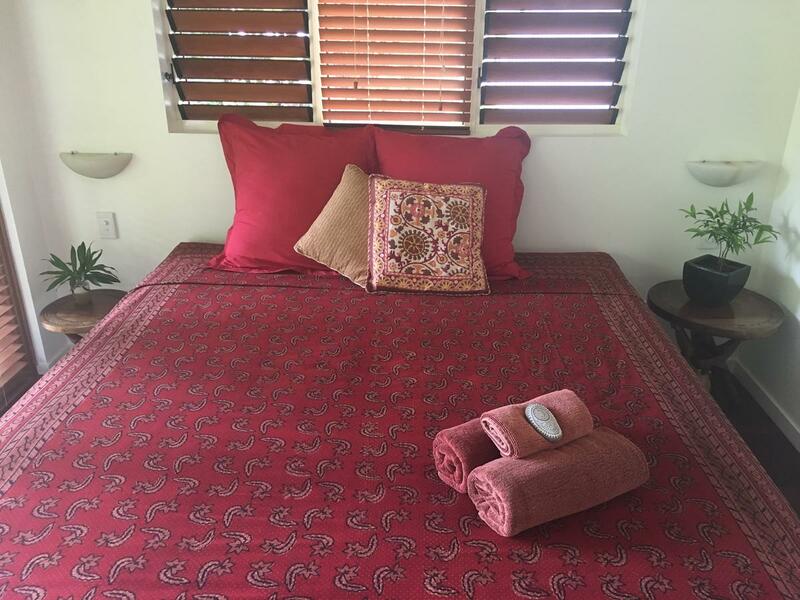 Located in Port Douglas, 3.5 km from Marina Mirage, [ ANDY'S BEACH HOUSE ] feature air-conditioned accommodation with a terrace.The property features sea views.At the villa guests are welcome to take advantage of a hot tub. This property is 3 minutes walk from the beach. 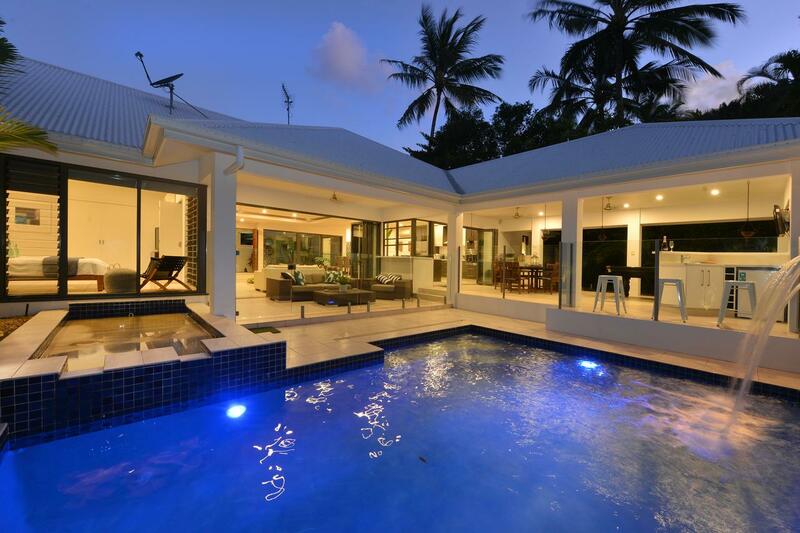 Boasting an outdoor pool and pool views, Villa On Langley is situated in Port Douglas. Featuring garden views, If you would like to discover the area, hiking is possible in the surroundings. This property is 2 minutes walk from the beach. Just a 10-minute drive from Four-Mile Beach. Relax by the private outdoor swimming pool or enjoy a meal on the terrace using the BBQ facilities. 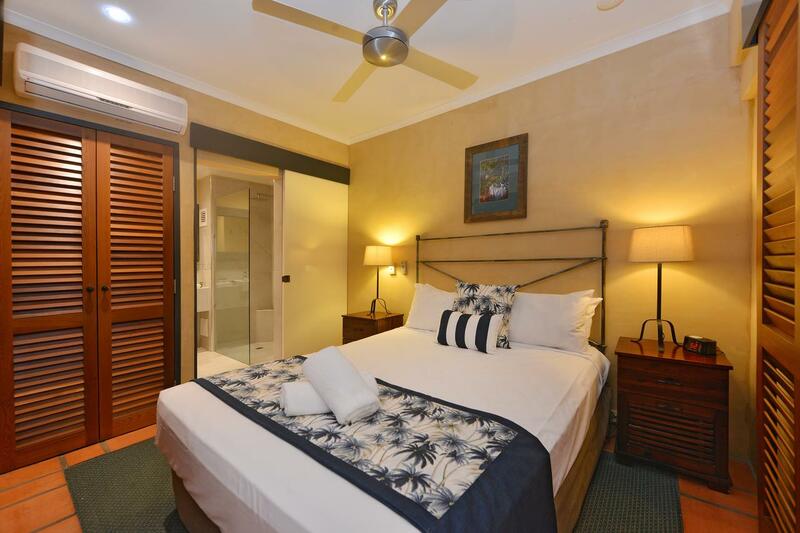 Located in the Four Mile Beach district of Port Douglas,Marina Mirage is an 8-minute walk from Esplanade Villa. Esplanade Villa provide accommodation with a private pool. This beachfront property offers access to a terrace. This property is 5 minutes walk from the beach. 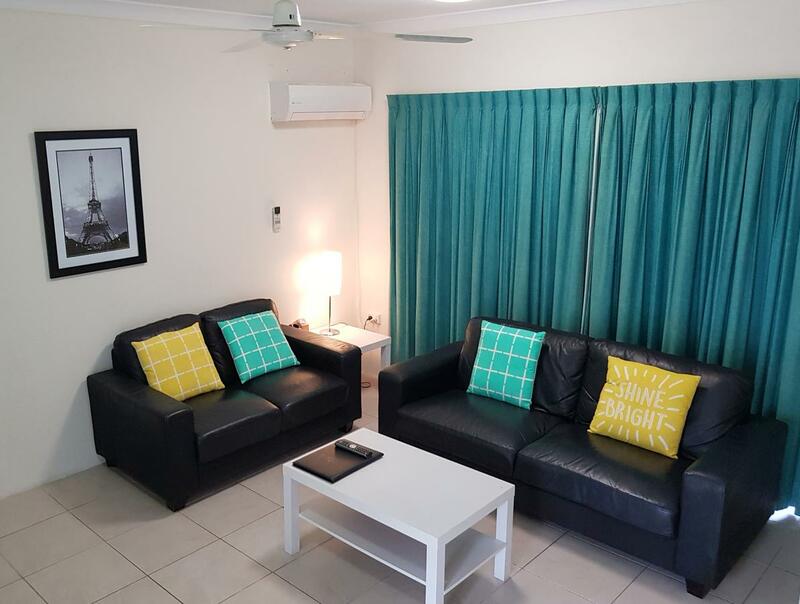 Situated in the centre of Port Douglas, Palm Villas offers self-contained apartments with separate lounge/dining area, large private balcony and an LCD TV with 8 AUSTAR channels. 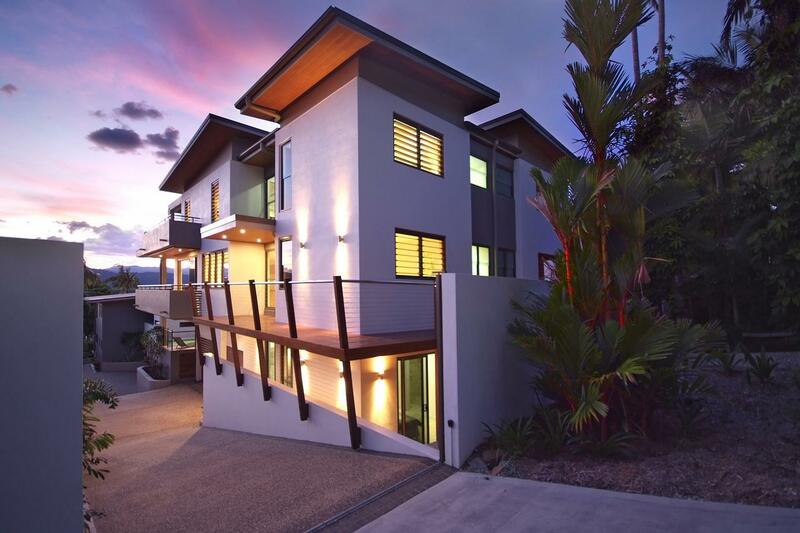 Seascape Holidays Villa on Macrossan offers accommodation in Port Douglas, 300 m from Marina Mirage. This property is 6 minutes walk from the beach. Villa on Macrossan boasts views of the pool and free private parking. 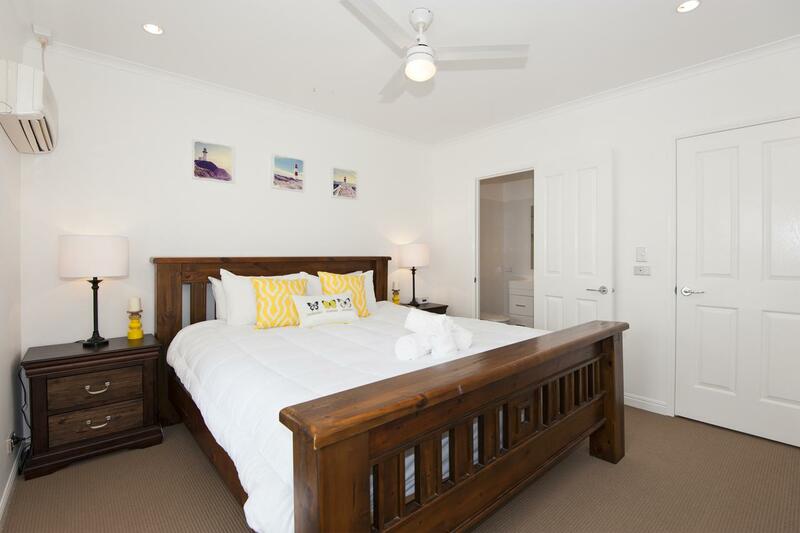 Just 5 minutes’ walk from Four Mile Beach, this property is 5 minutes walk from the beach. 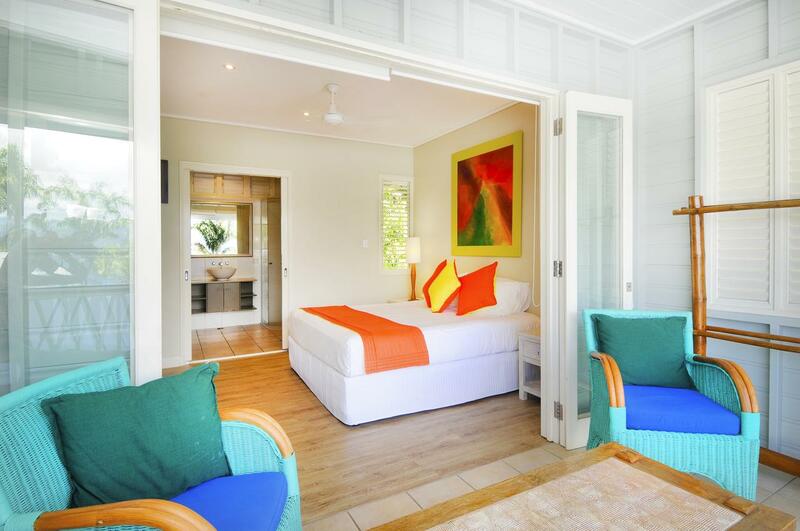 At The Mango Tree offers air-conditioned accommodation with a TV. Guests have access to a tennis court, hot tub and swimming pool. 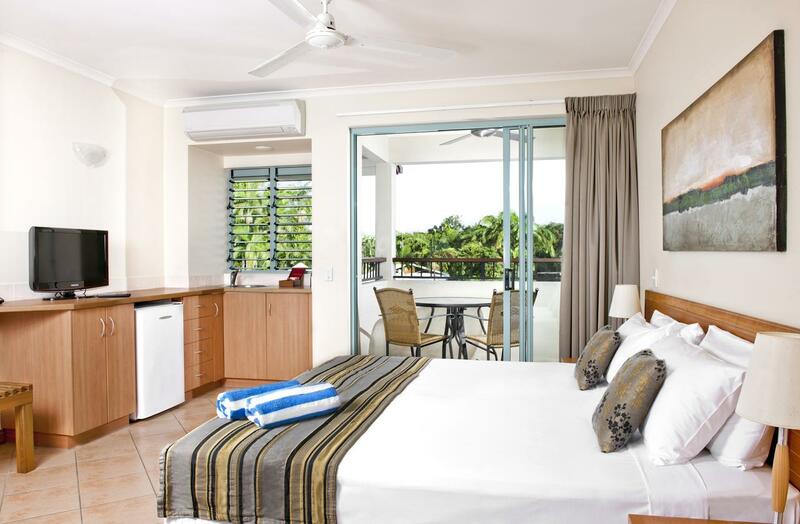 The 4-star By The Sea Resort is located in the centre of Port Douglas, next to Four Mile Beach and just a 2-minute walk from the restaurants along Macrossan Street. All apartments come with full kitchen facilities and many also have sea views.